HTML5 browser support is gaining increasing importance with the increasing number of HTML5 applications and HTML5 web sites. Since HTML5 introduces new HTML standards, new API's and new features that makes an amazing experience and interactivity on a web page, HTML developers will prefer more to create web sites using HTML5 in near future. To test your favorite web browser's HTML5 capabilities, you can visit HTML 5 Test web site. It provides an HTML5 browser test. It will prepare an HTML5 browser support score card for your internet browser and you will be able to see which HTML5 features your browser is missing. 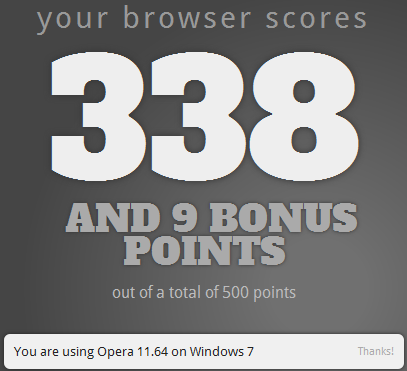 You can also compare HTML5 support results with other web browsers too. The first place for HTML5 support among installed web browsers on my Windows 7 OS laptop computer is Maxthon web browser. Maxthon web browser has the highest score for HTML5 tests indicating supported features and APIs. Maxthon internet browser is also the current major web browser I use while programming HTML5 apps just because of this reason. I keep aside the Google Chrome browser Canary because it is still in beta period. But even with its beta builds, Canary even passes Maxthon and stay at first place with the highest score in HTML5 support among all browsers. Google Chrome HTML5 browser suppor is also very high when compared with other internet browser tools. 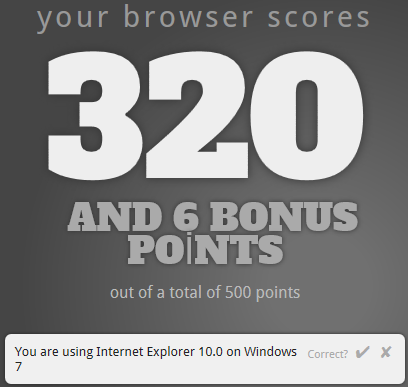 Although Microsoft has recently released the IE10 for Windows 7, the Internet Explorer 10 for Windows 7 has an average HTML5 browser support test scores. 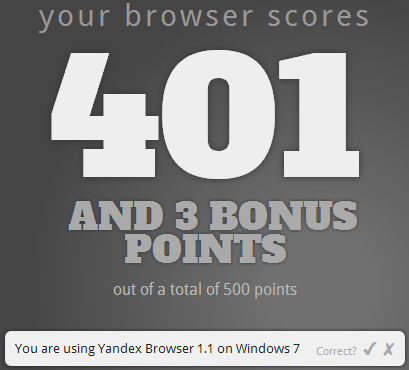 Actually this result for Internet Eexplorer 10 for Windows 7 has really a dissapointing HTML5 support result for me. 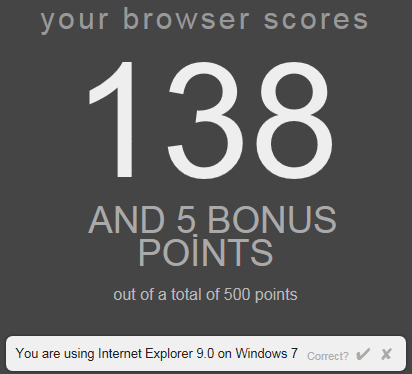 I was expecting a better HTML5 support and HTML5 compatibility from Internet Explorer 10 after its prerelease version has 313 points. 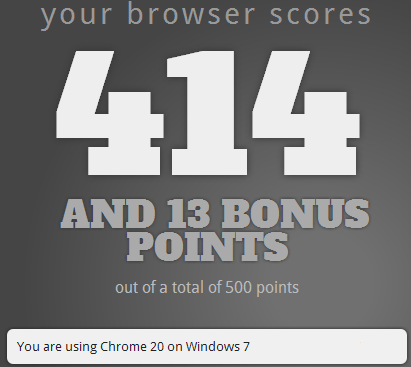 The upgrade between prerelease and final version of Internet Explorer on Windows 7 is only from 313 to 320 points. Although test scores of Internet Explorer 9 IE9 HTML5 support is not good, I know (not yet added here) Internet Explorer 10 running on a Windows 8 operating system has far more good support for HTML5 hypertext markup language. 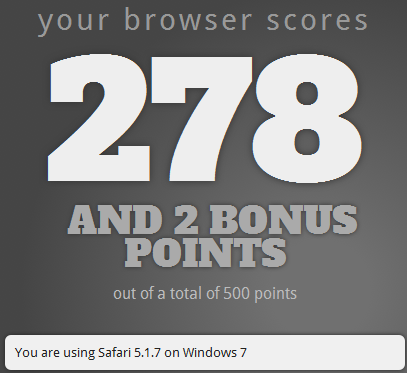 Internet Explorer 9 IE9 HTML5 support test scores is less than all major web browsers. Internet Explorer IE9 HTML5 support is lack of many HTML5 features. 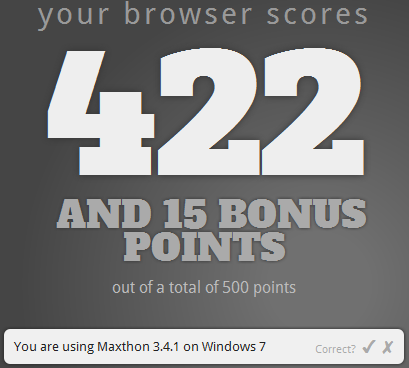 As one last note, Maxthon is the winner of this HTML5 browser support test. 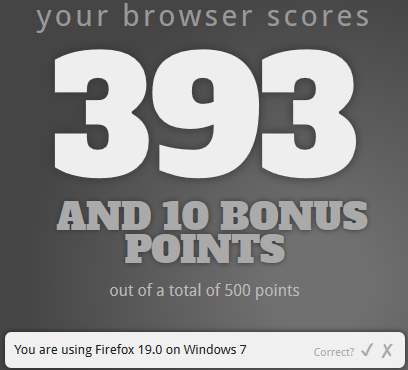 On the other hand Internet Explorer 9 (IE9) has failed in this HTML5 browser test.